* Update: According to early estimate PK will collect 36 crore on Sunday.It is the highest box office collection for third day.PK showed a growth of 20% which is phenomenal. There will be new records in some circuits for highest single day collection.The weekend for PK is 92 crore which is outstanding considering non holiday period.It will collect well in the weekdays and will target 165 crore in its first week. PK is also collecting huge at the overseas box office.It has created record in USA and Canada for highest single day for an Indian movie.Aamir Khan is now undoubtedly biggest crowd puller in overseas beating Shah Rukh Khan. PK has taken the box office by storm on Sunday.It has taken an earth shattering opening all across India.The occupancies at the multiplexes are in 90-100% range and at single screens are 85%.The extremely positive word of mouth have helped PK to grow up massively. The film is picking up at all centers of India.Single screens were major concern for PK as they were collecting poorly.But today they have also opened very good which is a very positive sign for PK. After noon shows were showing houseful.while evening shows were booked already.There was a little drop in north because of cold weather. PK could not break any records on its opening day but it seems that it will surely make some new records on its third day.It is now sure that PK will be running smoothly for next few weeks.It will also sustain well in the weekdays. 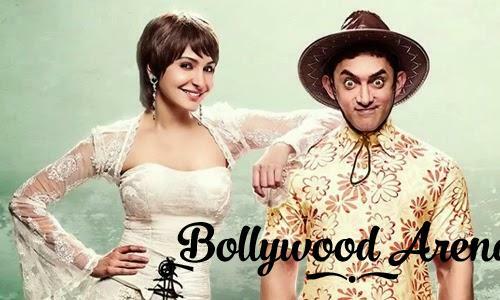 Pk has collected 56 crore after two days. We will regularly update this page.Stay tuned for more updates.